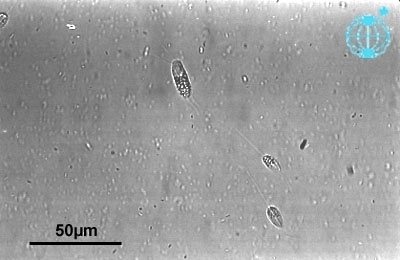 caption Culture with swarmers of the parasitic flagellate Pirsonia mucosa. Temperature: 15Â°C. This image is part of the collection of Dr. Gerhard Drebes.